There is more to shopping for a used auto than just finding the most reliable vehicle. Actually, there is a lot more. It also pays big time to shop for the most affordable car loans in St. Charles. It is definitely in your best interest to search for financing before doing your vehicle search. All dealers differ in their rates for financing, depending upon the particular financial situation, the time of year, specials they may be offering and location. The most important number in the financing game is the APR or annual percentage rate. You want the lowest possible APR to save the most money over the term of the loan. While a longer term loan certainly has appeal, as your monthly payments are lower, it saves you money in the final financing costs to have a shorter term loan. Keep your loan term as brief as you can reasonably afford. Note that a longer loan takes more time to build equity. If you decide to sell the car too early, you will not be able to cover the amount still owed. Paying the largest down payment possible will definitely be to your advantage. The majority of experts recommend fronting at least 15% of the total vehicle cost with cash, trade-in or a combination of the two. If your credit rating is not quite where you would like it to be, shop for a dealership that is willing to provide auto loans with poor credit. Your interest rate will be higher, but you will be able to purchase a vehicle to satisfy your transportation requirements. 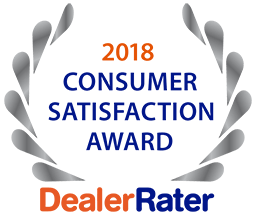 Visit 5 Star Auto Plaza or give us a call at (636)940-7600 to explore your options for car loans in St. Charles and a dependable vehicle at a great price.